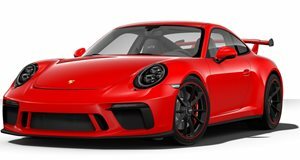 Porsche is one of the few automakers that not only offers manual-equipped sports cars like the 911, but also makes money while doing so. If this works for Porsche then why not its corporate cousin, Lamborghini? After all, both brands fall under the VW Group umbrella and there’s not exactly a shortage of money and resources. Well, apparently there is a money issue. During Motor Trend’s recent sit down with Lamborghini CEO Stefano Domenicali, he revealed there was interest to offer manual variants of both the Aventador and Huracan but, sadly, it quickly became apparent it would be impossible. The Aventador has only been offered with a single-clutch seven-speed automatic, but the costs to convert this gearbox into a manual could not be justified. 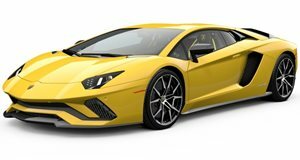 Say if Lamborghini charged an extra $25,000 for a manual-equipped Aventador and offered only 200 examples, this would generate $5 million. Sounds like a lot, right? Not really. That sum would not even come close to the conversion costs involved. Furthermore, the Aventador is a heavy thing and it’s mechanically unique. 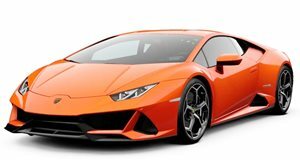 Lamborghini, or even VW, doesn't have a manual in some stock house that could accommodate the Aventador’s unique characteristics. Developing a new manual from scratch, or even finding a supplier, is just not worth it. But what about the Huracan? After all, it shares its general underpinnings with the Audi R8, which previously offered a manual. Also not happening. The R8’s old manual is no longer in production. Again, the production costs are not viable. By now you may be wondering how the heck Porsche manages to offer manuals in, say, the GT3 and GT3 Touring? Two reasons: one, the six-speed used in both is actually an old racing gearbox and has been in production for a long time. No additional costs were needed, hence the reason why the GT3 offers a manual as a no-cost option. The second reason is the high take rate. There’s currently over a 50 percent take rate for manual-equipped GT3s. Porsche can make a business case. Lamborghini can’t, despite efforts to try.